Your commercial property needs to have a well-functioning air conditioning unit. This is especially during Dallas’ intensely hot summers. Dallas commercial air conditioning services can help you with getting your HVAC system ready for anything that your business demands. It helps to look carefully at how your HVAC unit is working. It must be checked regularly but it must also be repaired as soon as possible. When managed right, it should be easy for you to get the most out of your commercial unit. Every business in Dallas needs a proper HVAC system. HVAC contractors should help you with planning your HVAC setup based on where vents will go, how air is to move and so forth. When planned properly, it should not be all that difficult to get your HVAC setup ready for use. 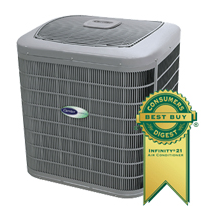 An HVAC setup can be installed by using a proper unit that is rated to fit in your property and will get enough cool air around the entire place. This includes air that will move around any ducts that may be in the property. It can even include ones that will be added later on. A plan can be draw up before an installation begins as a means of figuring out how well your HVAC setup may be used. A new HVAC can be installed into a commercial site if needed. This is ideal for cases where a business has grown to where it needs a larger HVAC to cover a space or even a more energy efficient one that will save the business money in the long run. You could certainly benefit from a replacement when it comes to keeping your budget intact and secure. A replacement can even be chosen based on how it might cover more space than what an older model had. It is still important for you to think about when you need to get a replacement set up. You will have to take a careful look based on things like how well your existing unit works, whether your old unit has rust and so forth. Everything involving your current unit must be checked regularly. Consistent checks help to ensure that your system is perfectly functional. You can always contact a commercial AC service provider for air conditioning repair needs. 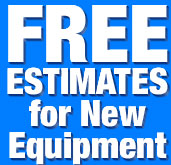 A repair specialist can fix anything in your AC unit. Whether it entails a broken fan, a damaged coil or a lack of coolant, you can get any kind of repair to work for your needs. The best part is that you can get a repair scheduled for any time of day. This is crucial as you need to keep your property comfortable for everyone who comes in. Remember to take a closer look at how well your commercial air conditioning system is designed. You have to look carefully if you want your Dallas-area business to be a comfortable place for you, your employees and any customers who may come in. Visit dallasplumbing.com to learn more about what you can use when keeping your property cool.